As we head into the last month of 2015, we thought it would be interesting to take a look at a few of the best innovations on DJ gear in the last few years – and why they should become ubiquitous. 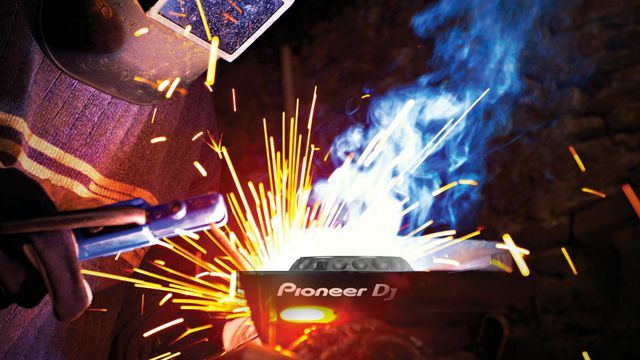 From built-in USB hubs to highly playable cue buttons, we hope to see a more widespread adoption of these features on DJ equipment in 2016 and beyond. What’s the most commonly lost item for DJs everywhere? It’s got to be those pesky 1/8″ to 1/4″ headphone adapters – from leaving them behind in mixers to dropping them into the depths of your gear bag, they’re incredibly easy to lose. A lot of newer DJ gear (like the above pictured Pioneer DJM-S9 mixer – watch our review here) has finally started to reflect the hard truth that the headphone industry isn’t going back to 1/4″ jack plugs anytime soon. We’ll still need adapters for older mixers and controllers, but the pure convenience of having both ports on new gear is something that every DJ can be happy about. We constantly get emails asking us what the best USB hub for DJ gear is. The truth is that the best USB hub is one that you don’t have to remember to bring with you! Native Instruments has lead the charge in this territory, with integrated USB hubs on the Kontrol Z2 mixer and more recently the Kontrol D2 – both of which make since as NI wants to support DJs being able to easily plug in their accessory/modular hardware. As we start to see Rekordbox DJ develop, maybe we’ll see integrated USB hubs on Pioneer gear as well? Rane was the first company to put two soundcards in a DJ product five years ago with the Rane Sixty Eight. While that mixer didn’t receive very widespread adoption, putting two soundcards on gear that is likely to be shared by multiple DJs either in a collaborative B2B setup or just simply when handing over control of a setup to the next DJ. Rane has continued to put dual soundcards on most of their high-end mixers, and it seems that Pioneer standard on their high-end products, as it is present on the DDJ-SZ controller and new DJM-S9 mixer. Anyone who has had a chance to play around with the Pioneer all-in-one XDJ-RX rig has likely noticed one of the most convenient features is the ability to plug in a second USB stick and send the Record Out output directly into a WAV file on the drive. This is a pretty obvious move for an all-in-one unit, but what if we started seeing it on digital mixers and controllers as well? Many DJs have a hard time remembering to bring their audio recorders and set them up properly (clear space on your SD card, the levels sound good, plenty of battery left), so why not cut out the recorder entirely and let DJs just hit a single button on the mixer? The classic DJTT VCI-100 arcade mod – still relevant today. This was actually one of the needs that lead to the Special Edition modification of the Vextax VCI-100 way back in the beginning of DJ Techtools. In a nutshell, the plastic buttons on the VCI-100 were far too difficult to use with any predictable response because of their stiffness – so Ean drilled out holes and replaced the buttons with arcade buttons to make them fun and playable. We’ve seen a widespread adoption of pads on DJ controllers – but not all of them are as playable as arcade button controllers, or Maschine and Akai pads. Wouldn’t it be great to have a cue button on every piece of DJ gear that feels great and is easy to play along with the beat to? Maybe we should start replacing the cue button on CDJs with arcade buttons! Live performers and DJs who use multiple pieces of MIDI-syned hardware or software deserve a reliable way to ensure their equipment stays synchronized. There’s a number of ways to do it now – but wouldn’t it be nice to just have a simple and reliable synchronization across devices and platforms? Right now it looks like Ableton hopes to solve this problem for many performers with their new Link platform (now in Beta) – it would be amazing to see something like this become industry standard for synchronization. Tell DJ Manufacturers What You Want! Tired of seeing posts like this full of speculative “would be nice” discussion and ready to make manufacturers listen? We know that the big companies all keep close tabs on social media, so hit the share button on the post below to spread the word about common-sense improvements you want to see in DJ products. Plus, leave your own thoughts in the comments below as to what features you’d like to see that aren’t mentioned here – and vote up other ideas!